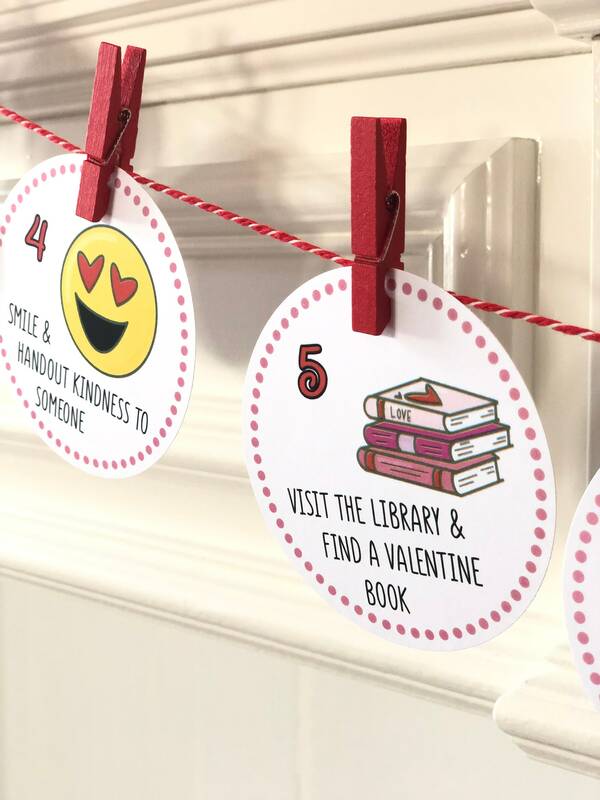 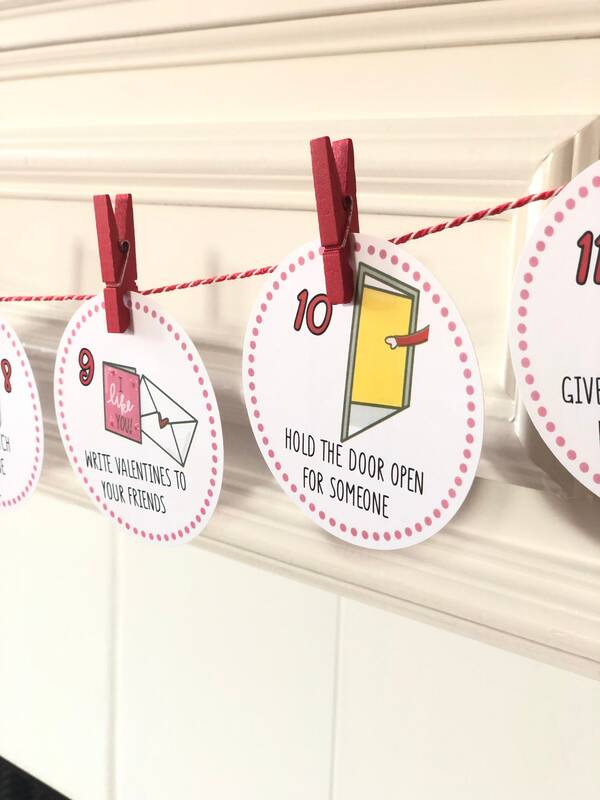 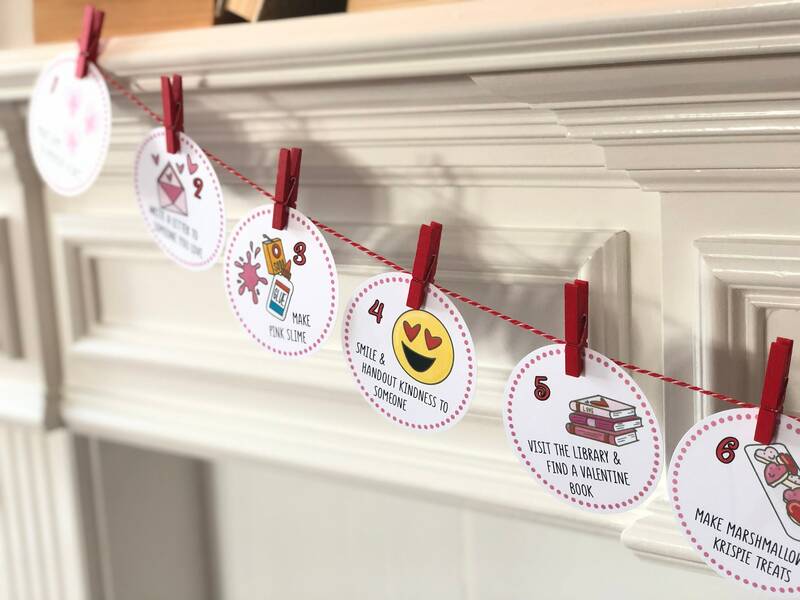 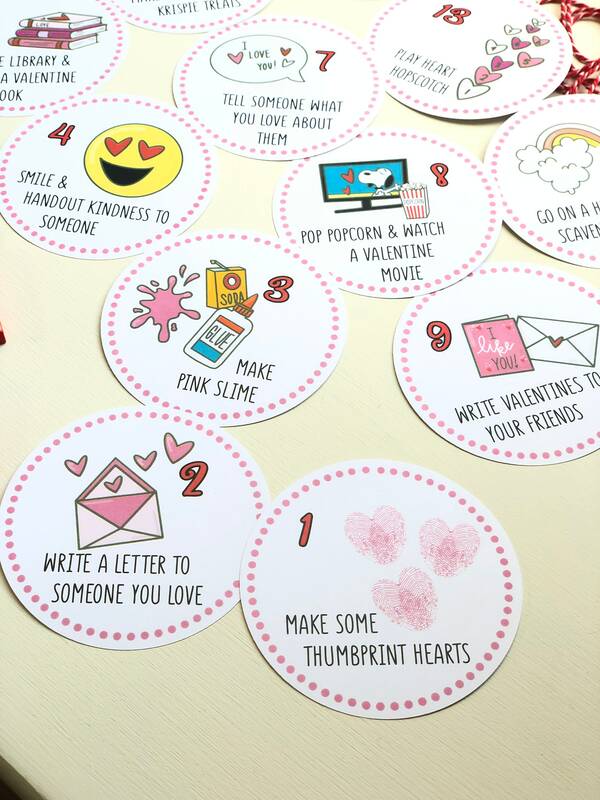 These fun and friendly activities will help you count the days to Valentines Day! 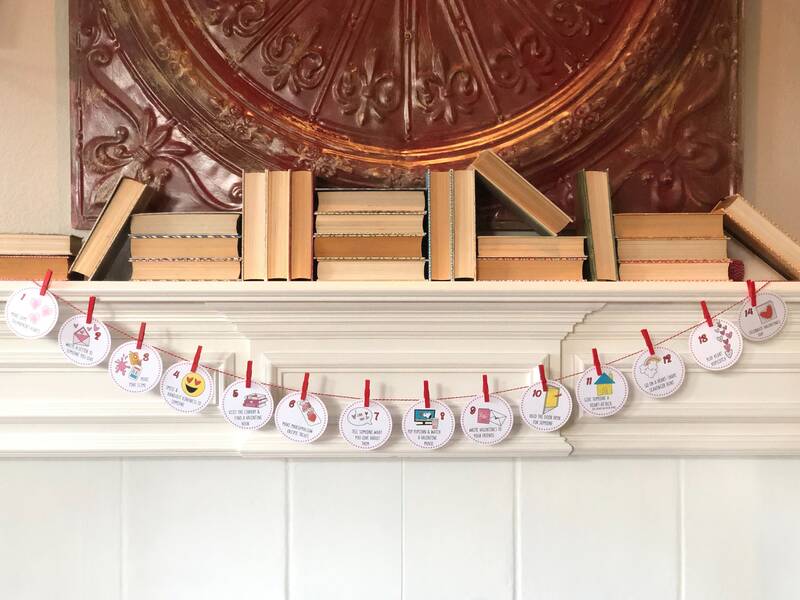 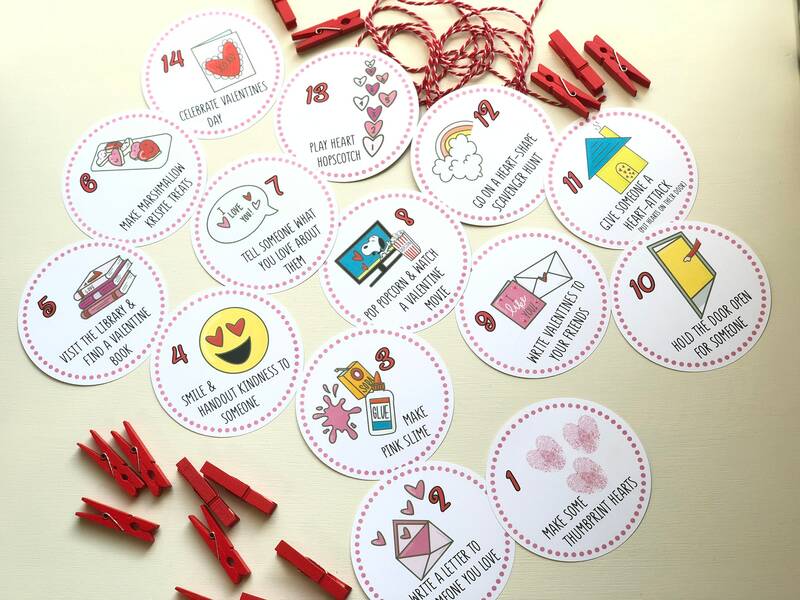 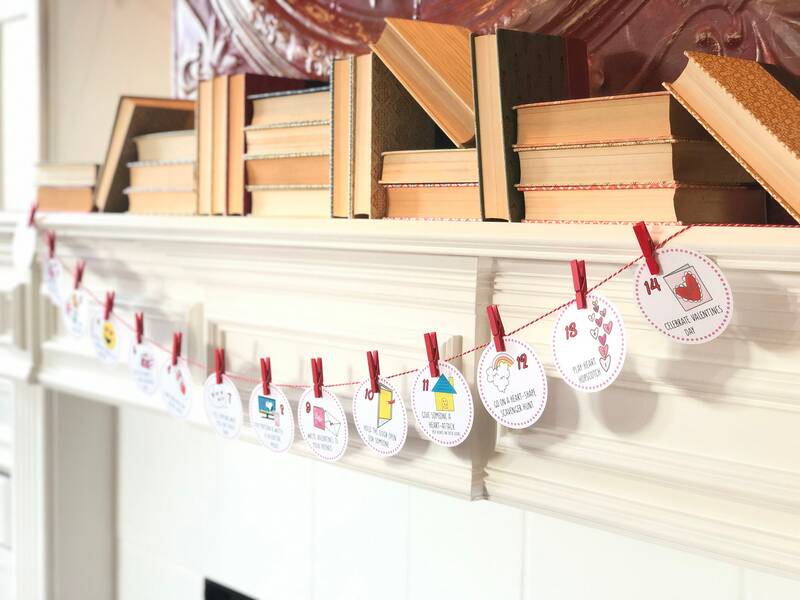 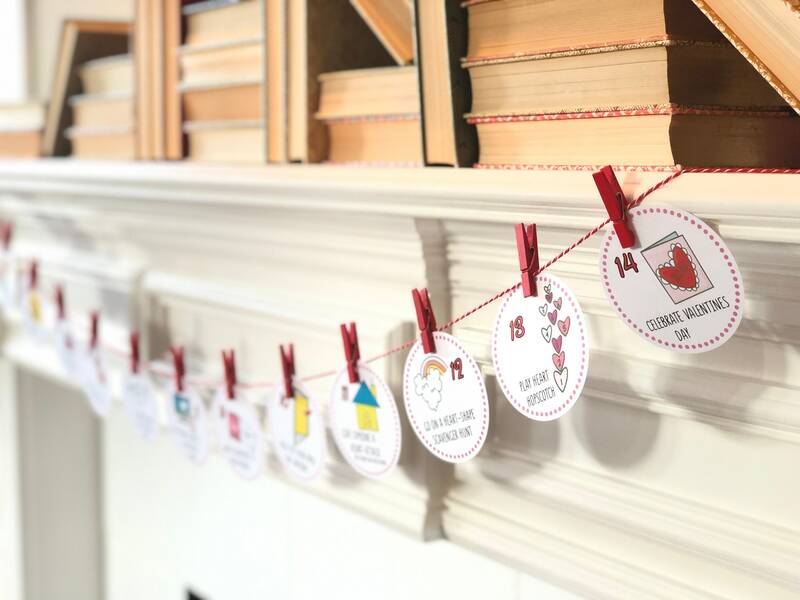 This set of 3" circles have a fun activity on one side to celebrate the 14 days in February that lead to Valentines Day. 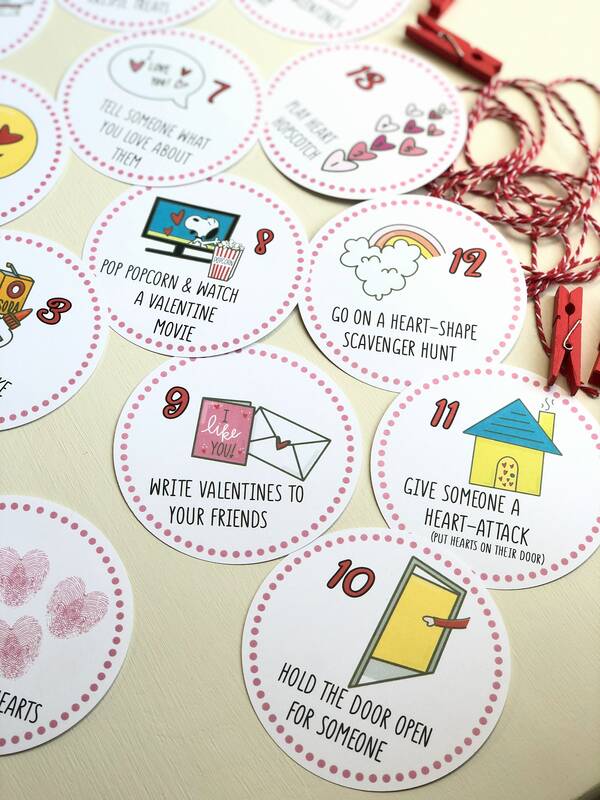 As the days progress, turn each piece over and the back will spell "Be My Valentine" when all fourteen are turned. 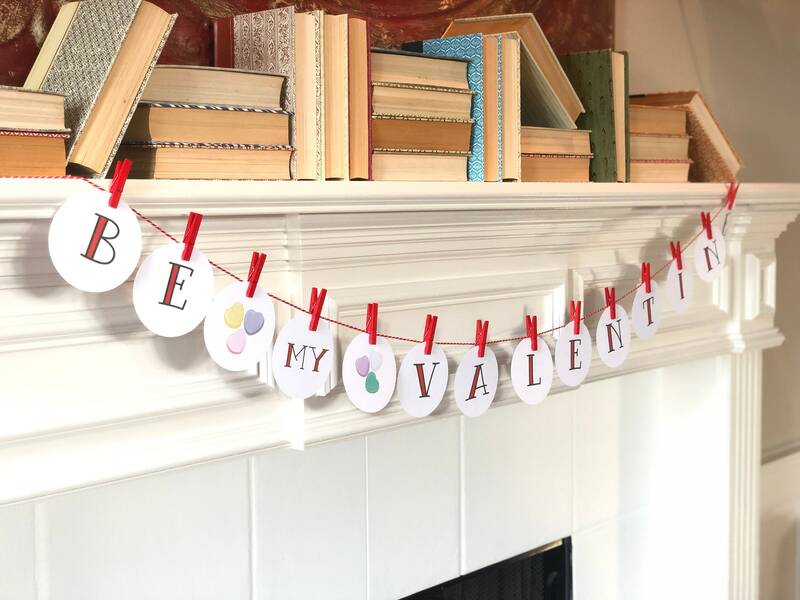 There are also fourteen clothespins and two and a half yards of twine included.